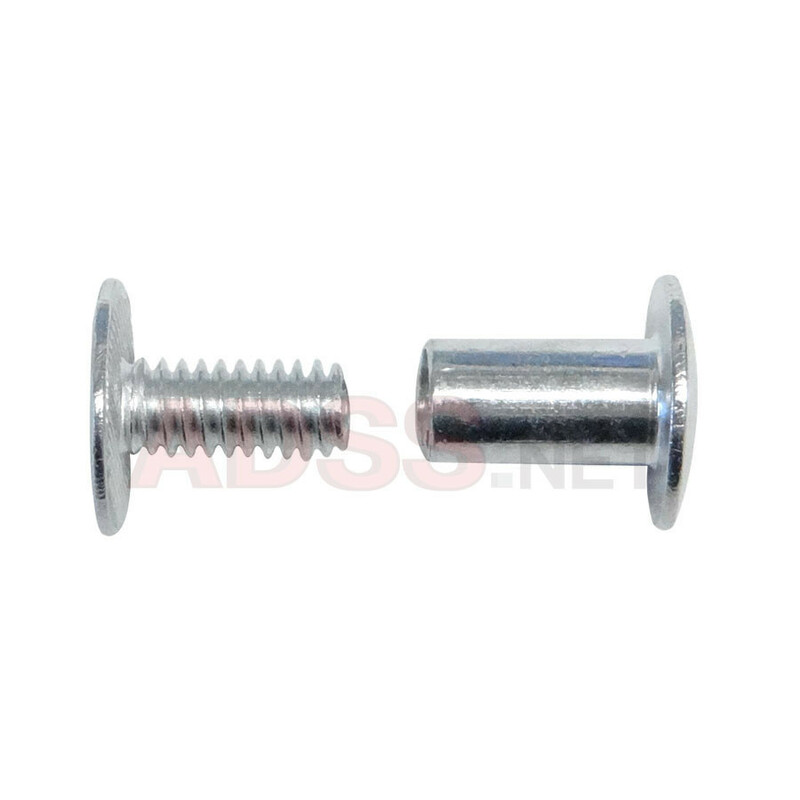 3/8" Aluminum screw posts have many uses. Originally used for binding documents, they are also commonly used for connecting leather parts in cases, straps, holsters, tack, and more. 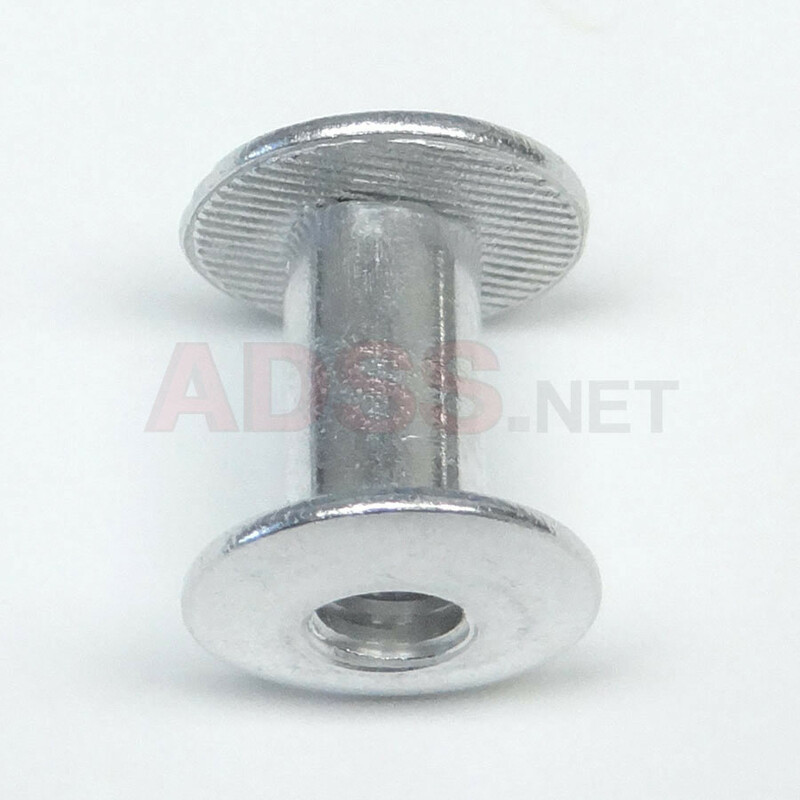 Our 3/8 inch aluminum screw posts will securely fasten 3 or 4 thicknesses of 8-10 ounce leather. For maximum strength, the post should be long enough to go all the way through all of the pieces when they are assembled. 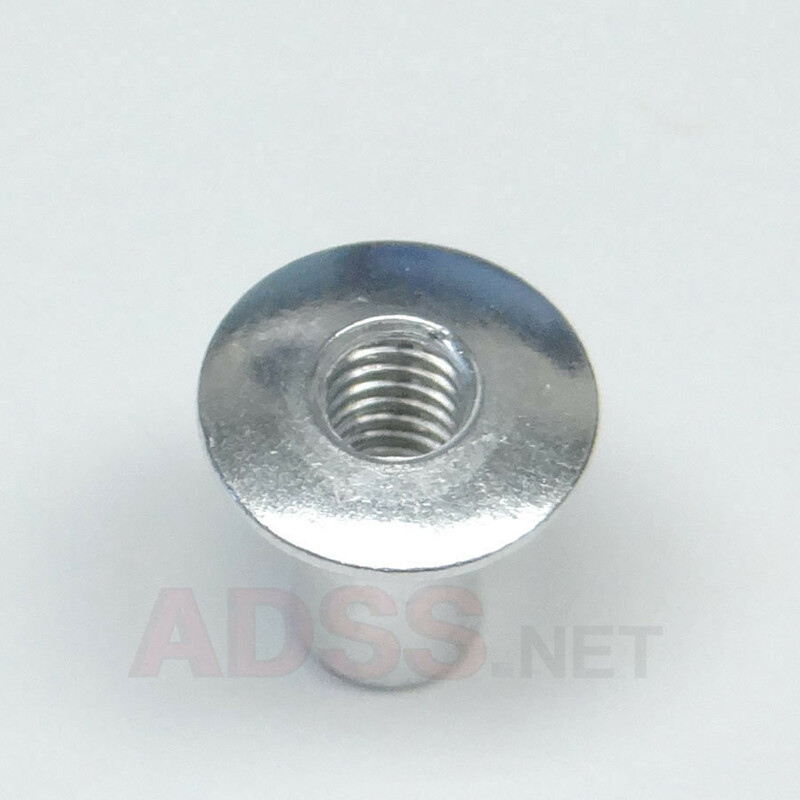 Aluminum screw posts have a multitude of other uses as well. They can be used to assemble just about any material that you can drill or punch a 1/4 inch diameter hole through, including plastics, cardboard or card stock, metal, wood, foamcore, and much more. Just push the post through the hole, thread the screw into the post and finger tighten. Your materials are now securely fastened! Posts are 3/16" diameter. 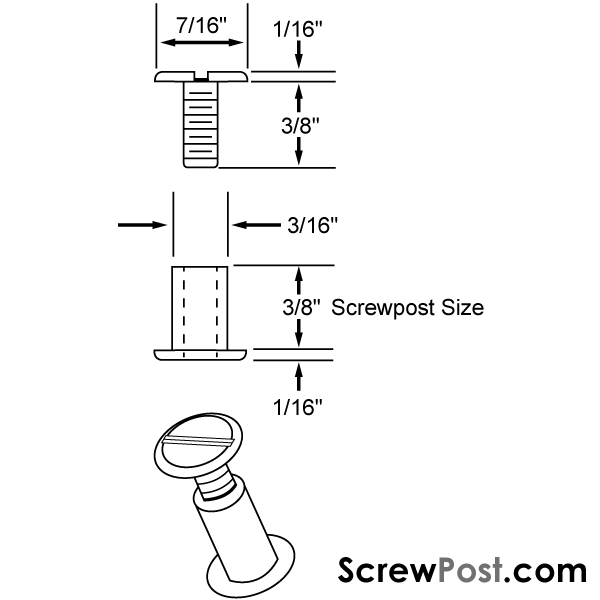 The overall length of a post with the screw installed is approximately 1/2". 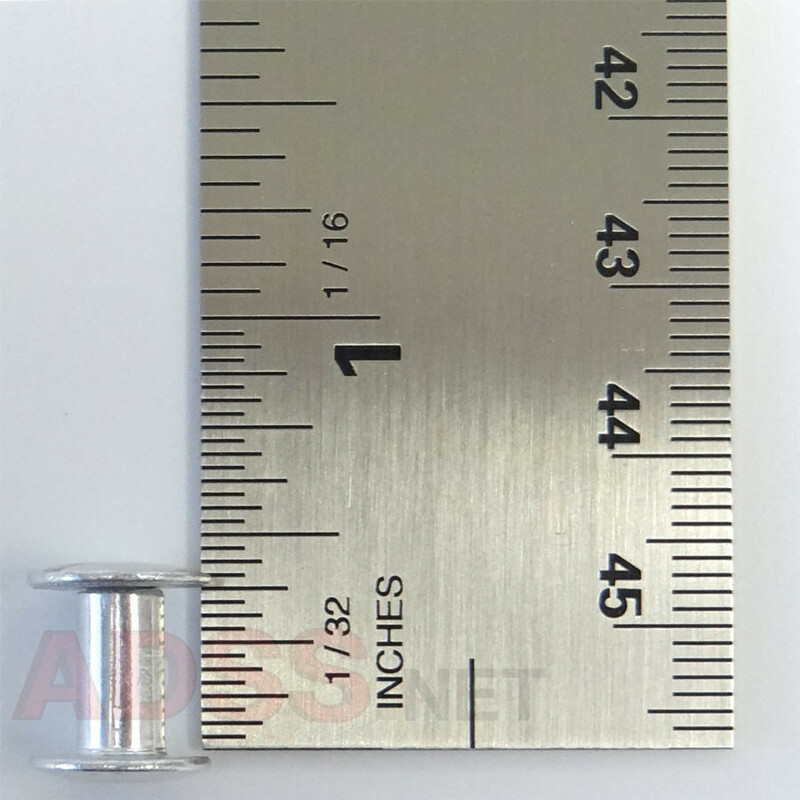 These screw posts can be extended using our 1/4", 1/2", 3/4", and 1" screw post extensions.